Mix 1 part white vinegar to 10 parts water and soak the strawberries, leaves and all, in the vinegar/water mixture for a few minutes. Then drain the strawberries in a colander until they are completely dry. 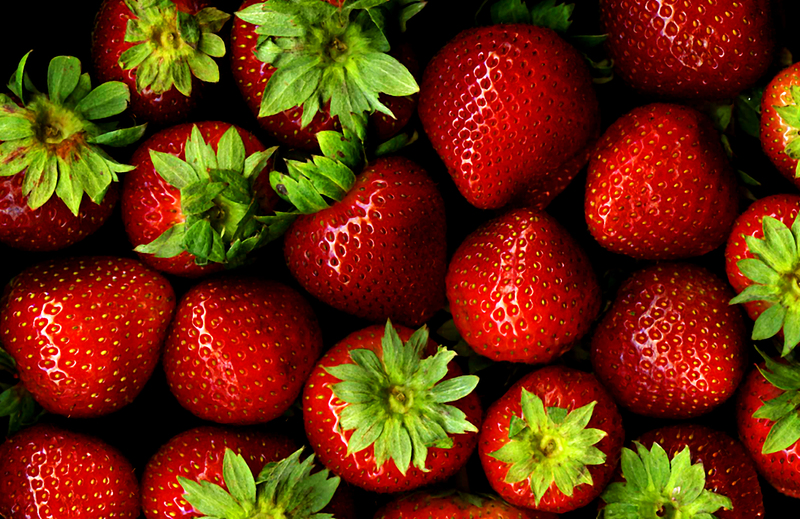 Place strawberries in an uncovered bowl in the refrigerator to store. The vinegar/water mixture kills any mold spores on the strawberries and keeps them fresh longer. The vinegar does not affect the taste. This also works for all kinds of berries, including blueberries, raspberries and blackberries.